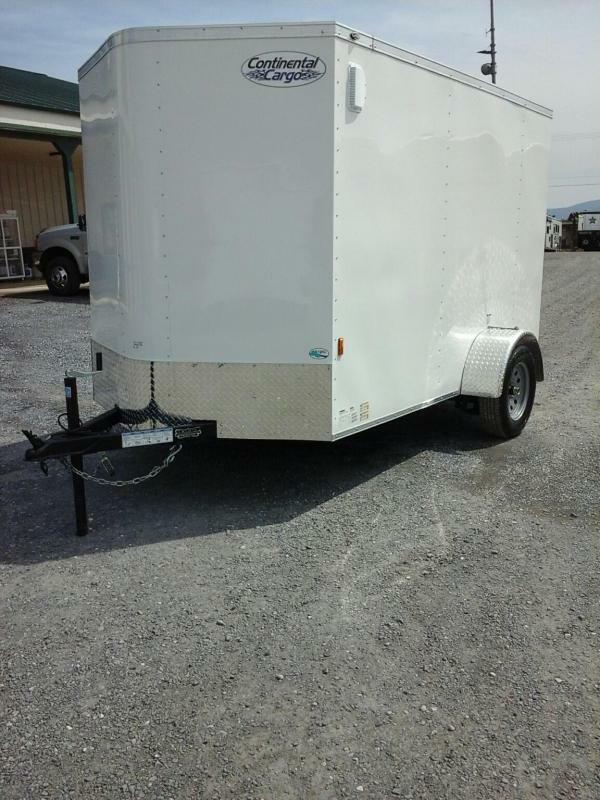 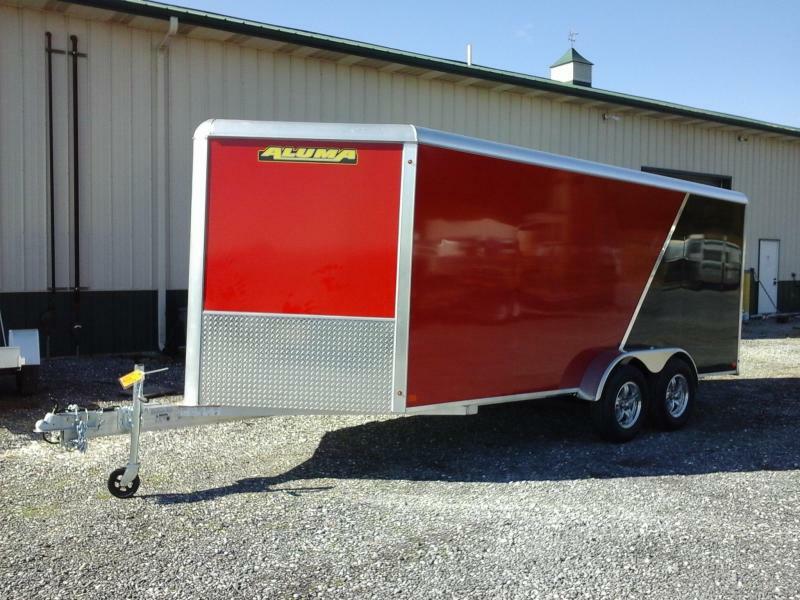 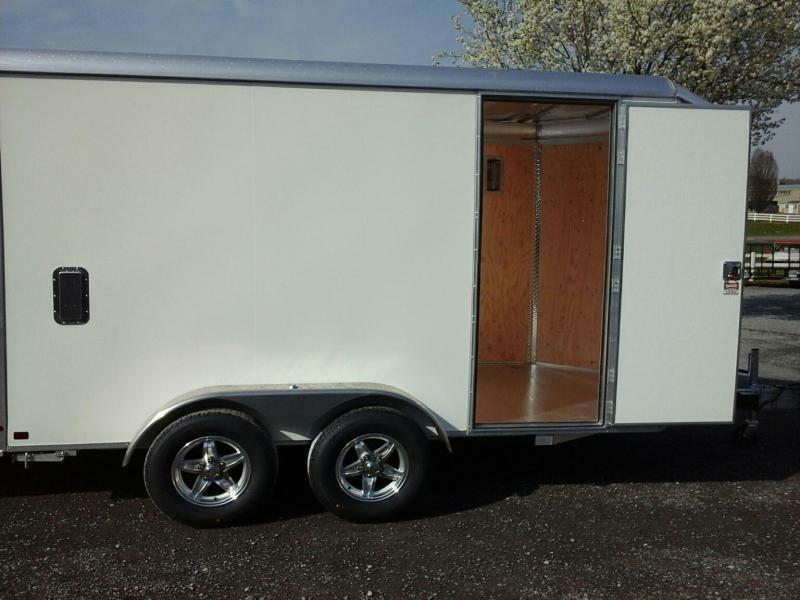 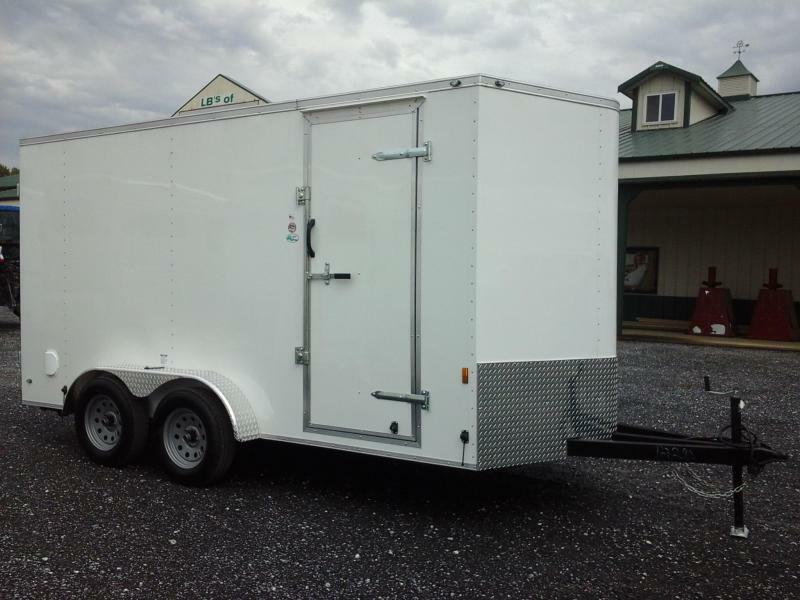 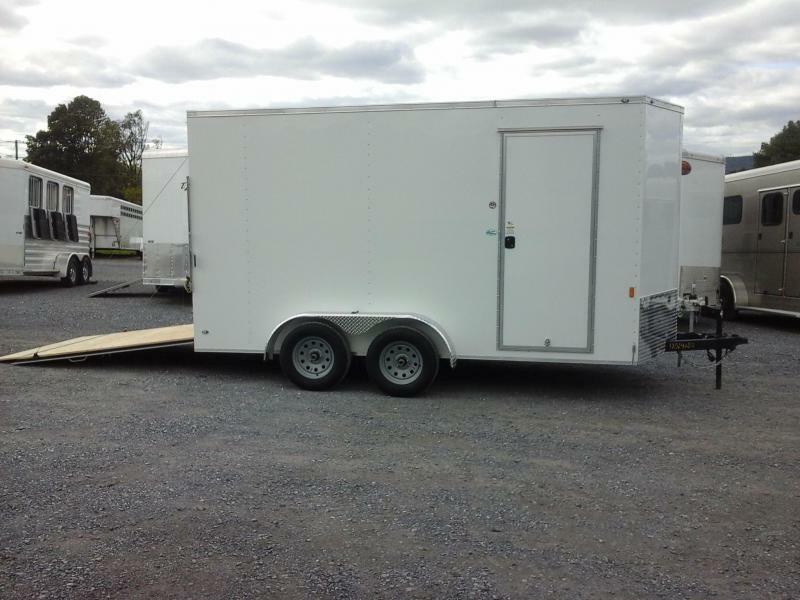 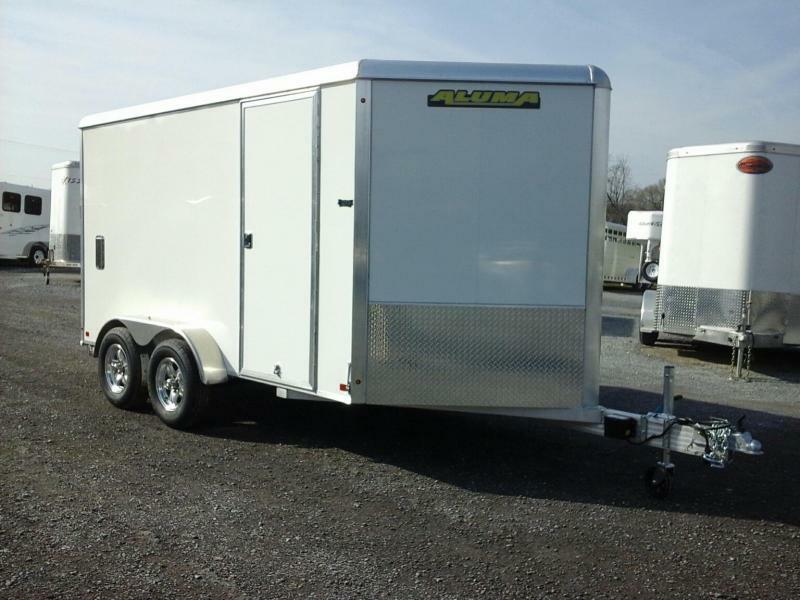 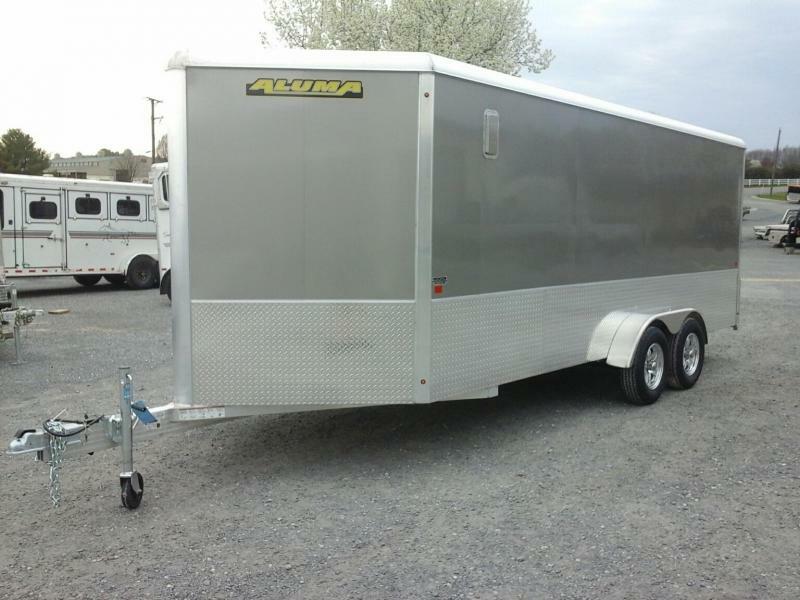 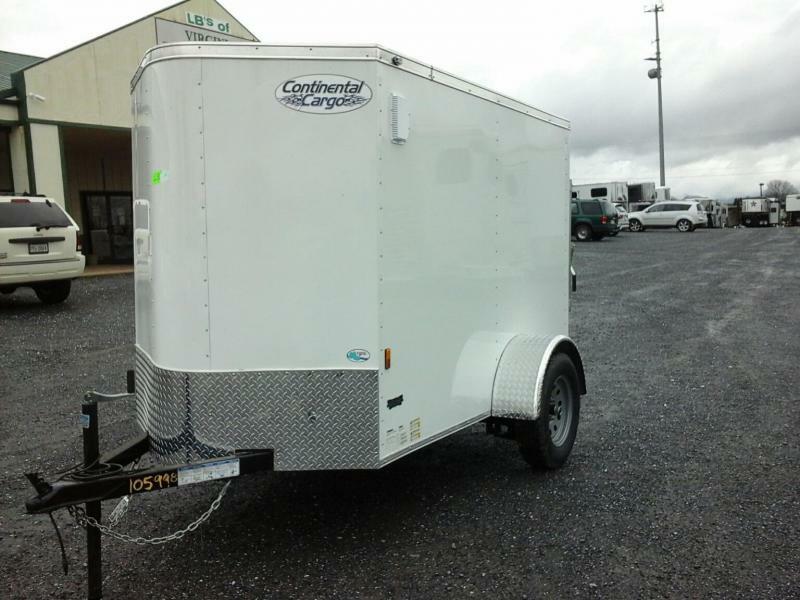 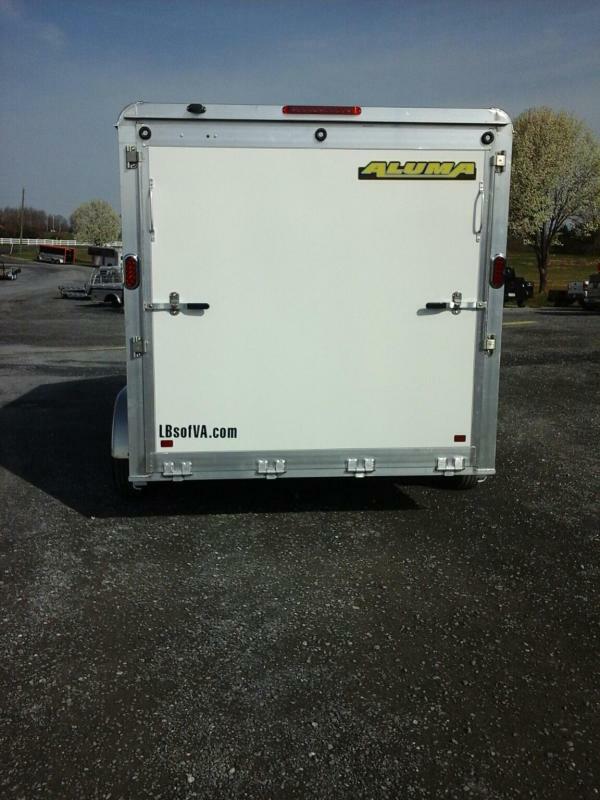 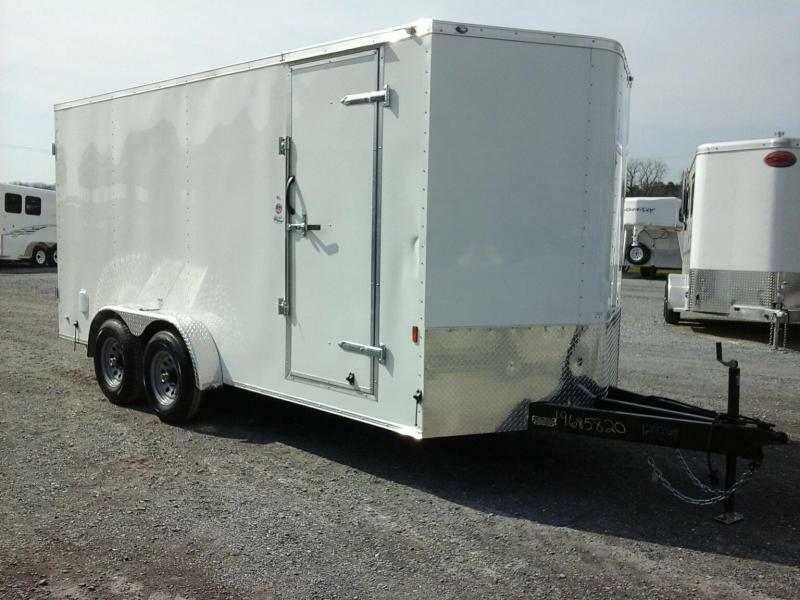 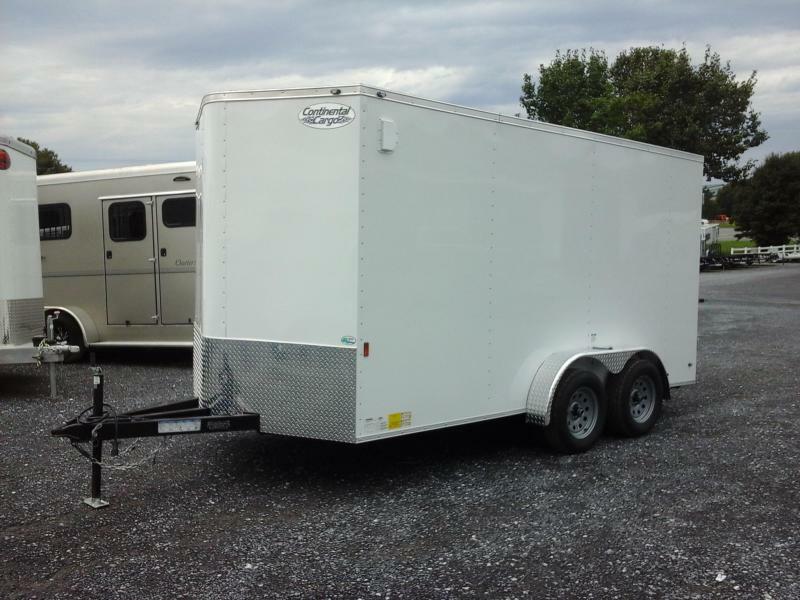 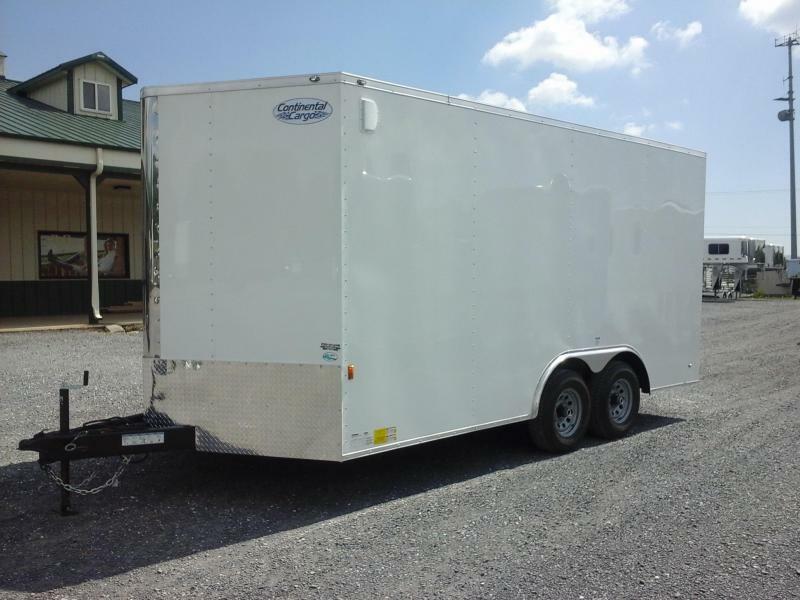 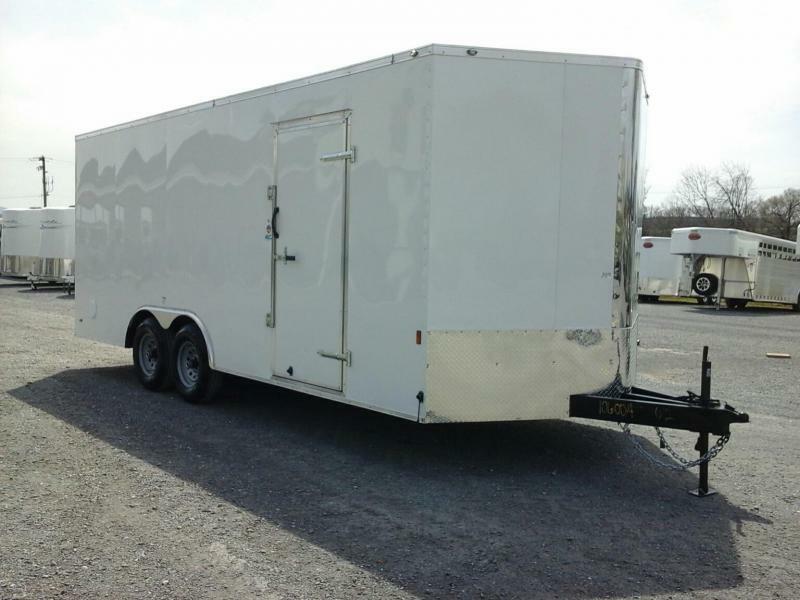 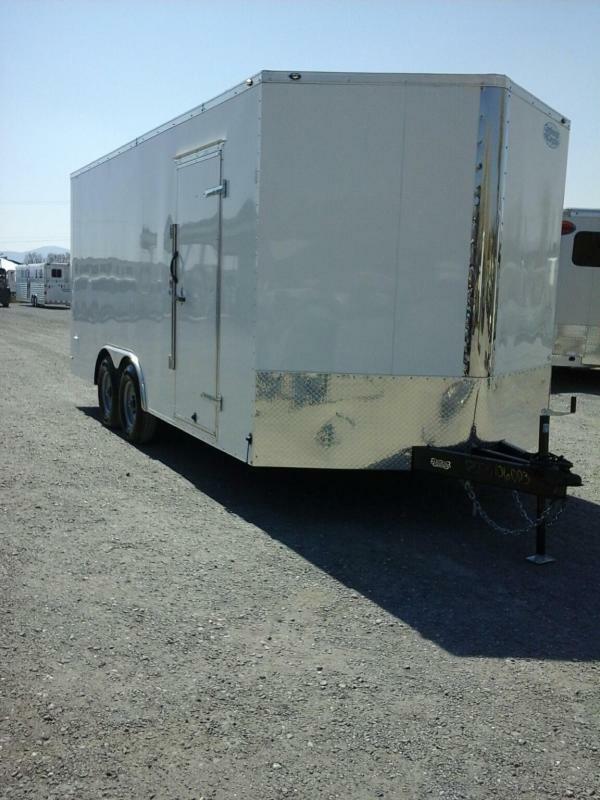 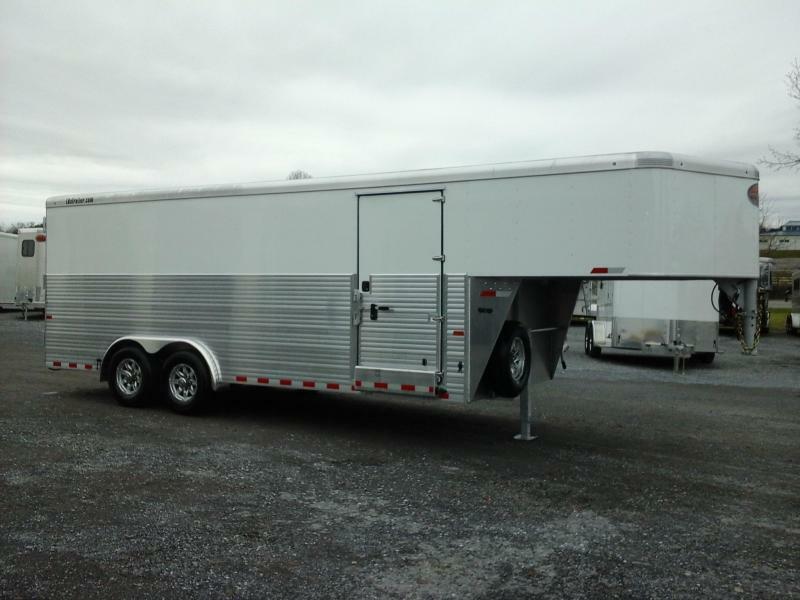 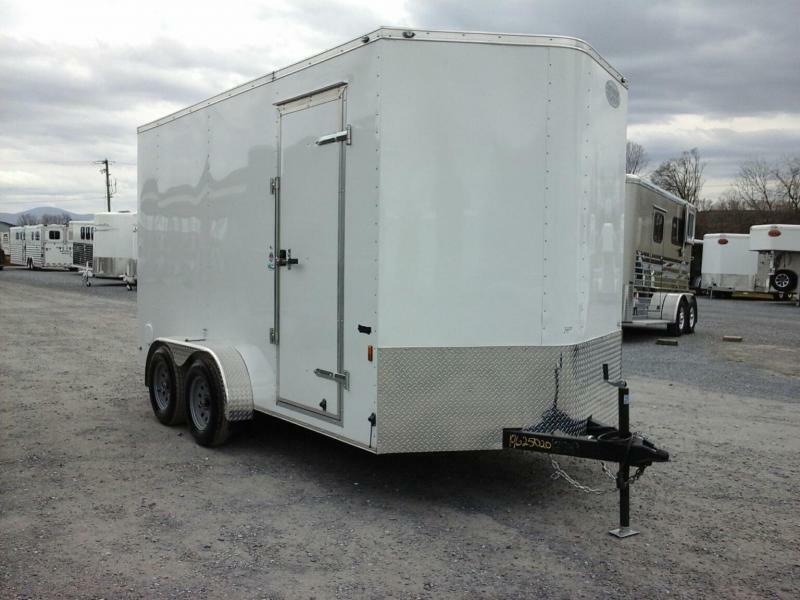 NEW 7'x12' Enclosed TA Trailer. 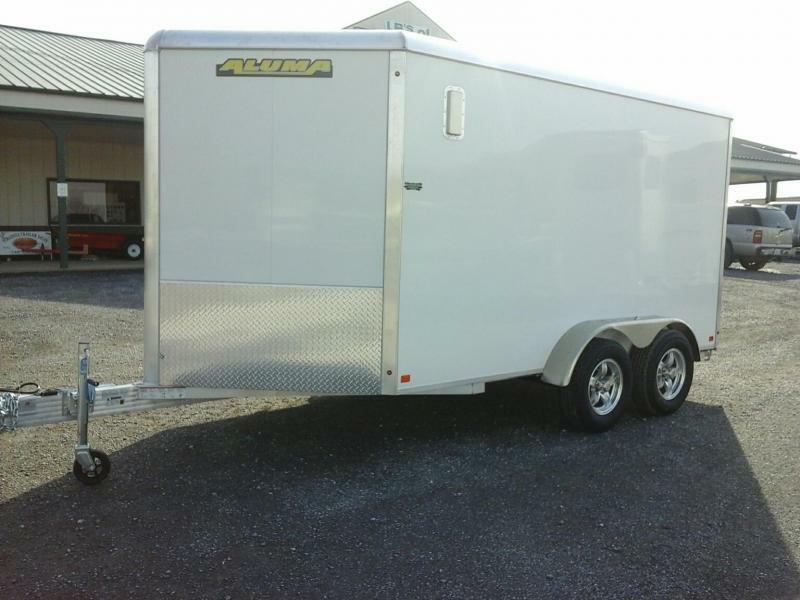 (2) 3500lb axles w/ Electric Brakes, 14" tires on Aluminum 5-4.5 Wheels,Folding Stabilizer Legs. 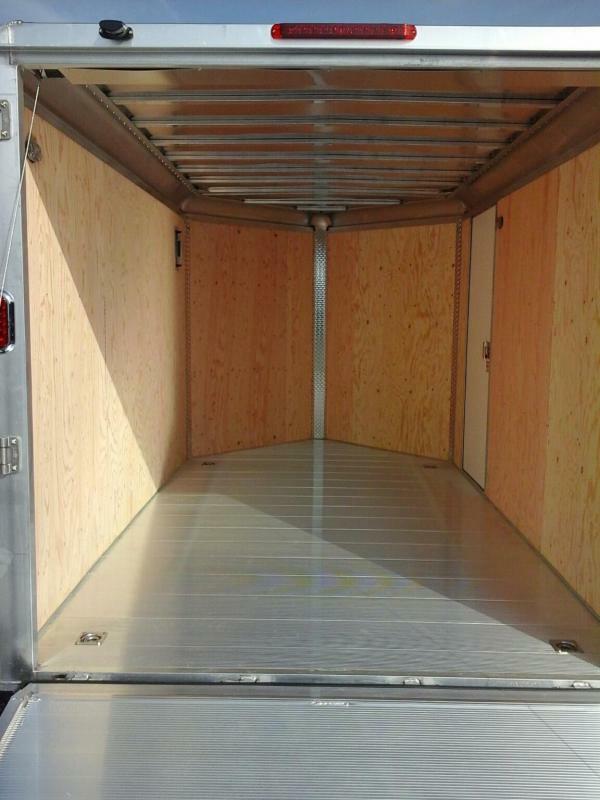 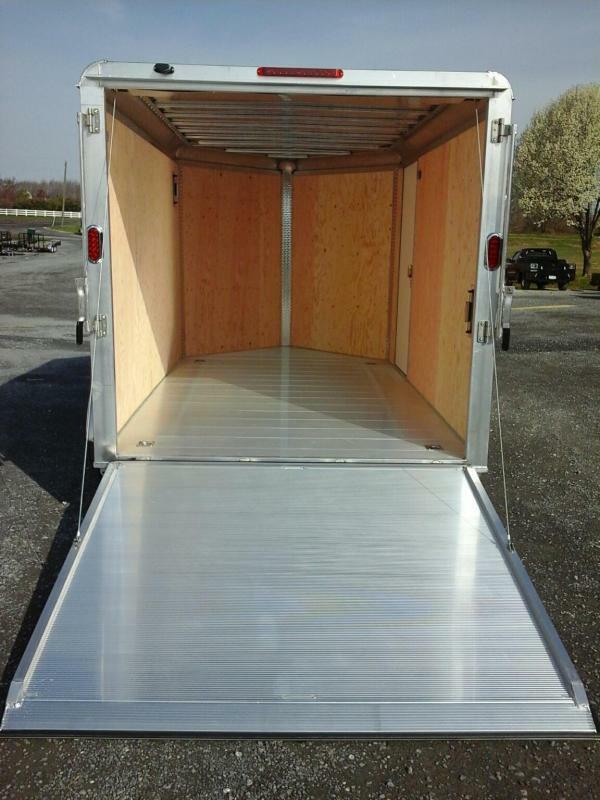 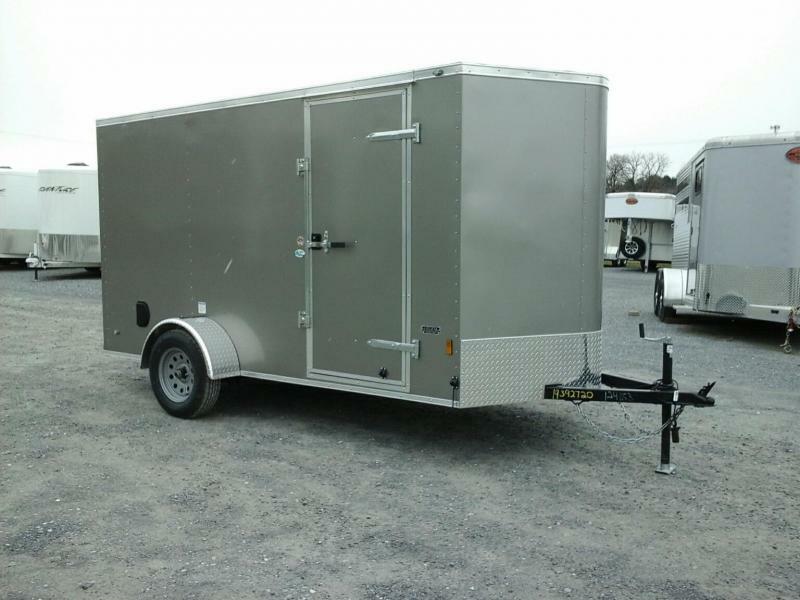 Standard Side Door, Rear Ramp Door w/ Spring Assist, Aluminum Floor w/ (4) 2,000 lb recessed Tie Downs, Plywood Lined Interior Walls, 2 Way Pop-out Vents, 2 Dome Lights, and 6" Added Extra Height.